Under Pressure – just like Freddy. – Loving Danger! Under Pressure – just like Freddy. We ALL have pressures. Every single one of us. Our circumstances vary but we are all under ridiculous amounts of pressure. To make money, to keep money, to buy food, to make food. To keep on top of this, to keep on top of that. To stay fit, to not be fat. To be energised and not de-energised. Our kids NEED us. Our kids with special needs NEED us more than ever. Mikey Danger needs his mum to be HERE, to be PRESENT and to be here for HIM. Every week, I feel pressured. The pressure stems from my feelings following the conversations I have with others who suggest I am not doing enough and that I should be doing more. I should possibly try this and maybe stop that. There are a couple of people – therapists – who DON’T do this, and I LOVE THEM! Why? Because they embrace the little person in front of them as exactly the way they are and not what they could, should or need to be. There are also teachers that do the same important thing – they accept Mikey for exactly who he is, on that day. Whether he’s cheeky Mikey, quiet Mikey or ‘chatty’ Mikey. There are very few people in this world who want us to be who we are. Because when they feed our minds with fear and doubt, and we allow this doubt to creep in, it makes them money. When we choose carefully who to allow the privledge of working with our child, then we allow our little person to thrive as they need to. To be exactly who they are, in their own skin. It doesn’t mean that I stop looking. I continue to look for other ways to do things to benefit Mikey, to help him to thrive but not to the detriment of his or my own, mental health. We keep it simple. Two therapies a week – we change it as we go, focusing on the priority for that particular stage. Everything else we incorporate into our daily life. Dressing/self-care – a chair in the bedroom to allow him to assist with dressing. A stool in the bathroom to help him towards independence with brushing his teeth. As much outside time as possible – where we are in our local environment, learning about the community we live in, simply by experiencing it. It’s different for everyone, but since his surgery, I have found that by focusing on a couple of things, instead of the mountain of things we COULD do, means that the couple of things that we do, achieves a better result. There is no race. Our most trusted doctors have always said the same thing – he is a child first and foremost. You want him to enjoy what he’s doing, otherwise it’s a constant battle. And sometimes, we need to pick our battles. 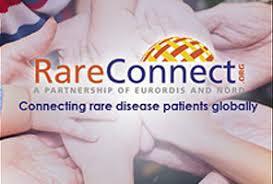 February Post for Rare Disease Day! HI Kelly, we sure do! It’s definitely difficult for our special children! But taking time out to enjoy life too and not focus on everything makes it difficult for the child to embrace life too! Hi. I know we don’t see much of each other any more, but that is not to say you and your family are not in my thoughts. You are doing an amazing job with your family, and each blog I read is testament to that. I love and miss you heaps………..Lorraine.